There’s a little dog hanging out around the neighborhood. No one can catch him. We’ve tried. Pepperoni doesn’t even work. Well, I was trying to catch that dog and all of a sudden two more dogs get out. The first runs off. The second barks at me. The third run into my garage and starts to eat food out of the big bin of dogfood we have. I manage to catch that one (she was a little on the tubby side). Then got the one barking at me. Their own showed up. But that third little dog … we’re not sure where he went. Gonna keep the garage door open today, just in case. 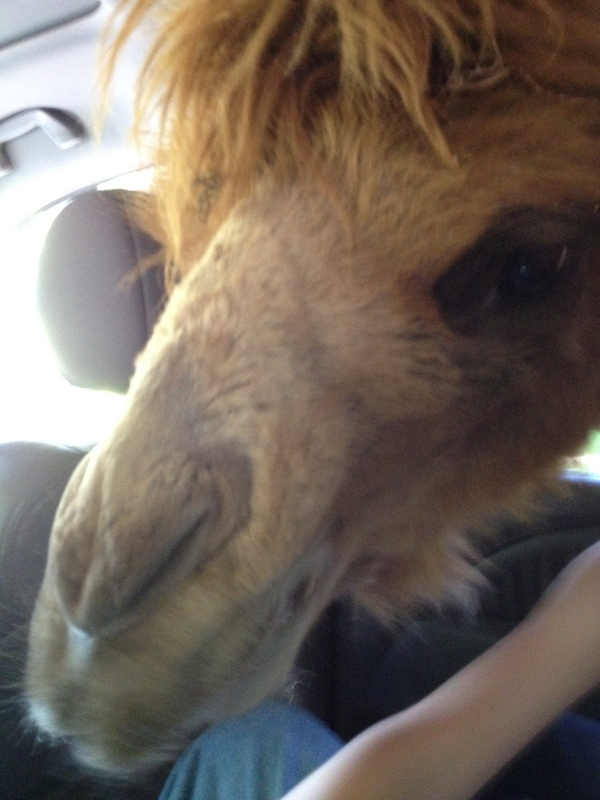 It’s just the kind of day when you wake up and realize that there’s a camel head in your mini-van.